Q: Do you also do the printing if we provide the wording on the inner paper9 A: yes, we do. 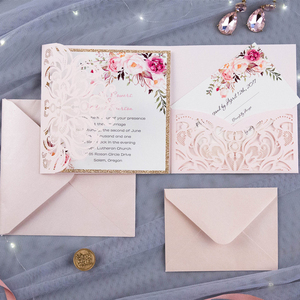 Q:Can I choose the color and custom the size of the invitation cards9 A:yes,you could choose the color from our color card. 5. After sales service provided Besides, after sales service is necessary for more understanding for your needs. 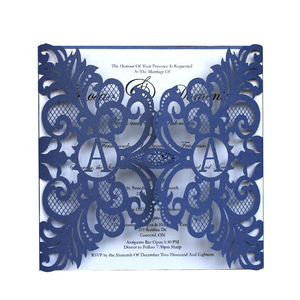 More Colors Personalized Card Laser Cut Wedding Invitations Item No. Design your custom bridal shower invitation with ease. Simply enter your information and instructions on the style or design you'd like, and we'll handle the rest. 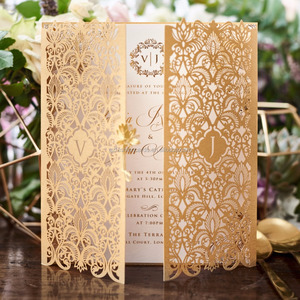 1 YRS Shenzhen Chen Fan Paper Products Co., Ltd.
Alibaba.com offers 51,633 wedding invitations products. About 43% of these are paper crafts, 22% are artificial crafts, and 11% are event & party supplies. A wide variety of wedding invitations options are available to you, such as wedding decoration & gift, weddings, and business gift. 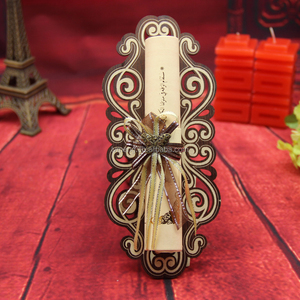 You can also choose from card, folded paper, and decoration. As well as from nautical, antique imitation, and religious. And whether wedding invitations is flower, letters, or fairy. 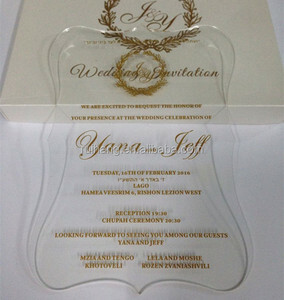 There are 51,633 wedding invitations suppliers, mainly located in Asia. The top supplying country is China (Mainland), which supply 100% of wedding invitations respectively. 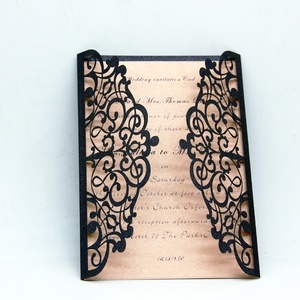 Wedding invitations products are most popular in North America, Western Europe, and South America. You can ensure product safety by selecting from certified suppliers, including 8,715 with ISO9001, 4,107 with Other, and 2,859 with FSC certification.